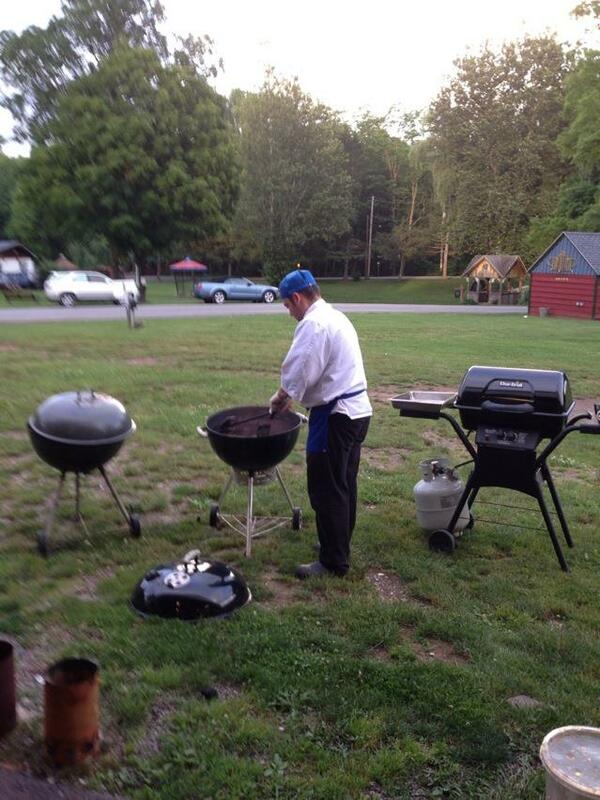 In this class we covered the basics of grilling including how to make your own marinades from ingredients you have on hand, choosing cuts of meat for the grill, what temperature to cook meats to, and how to prepare both a whole butterflied chicken and a whole stuffed salmon on the grill. Many people are intimidated to try their hand at canning. Over the course of a couple hours I demonstrated how simple it is to can three summer favorites: pickles, salsa, and jam. 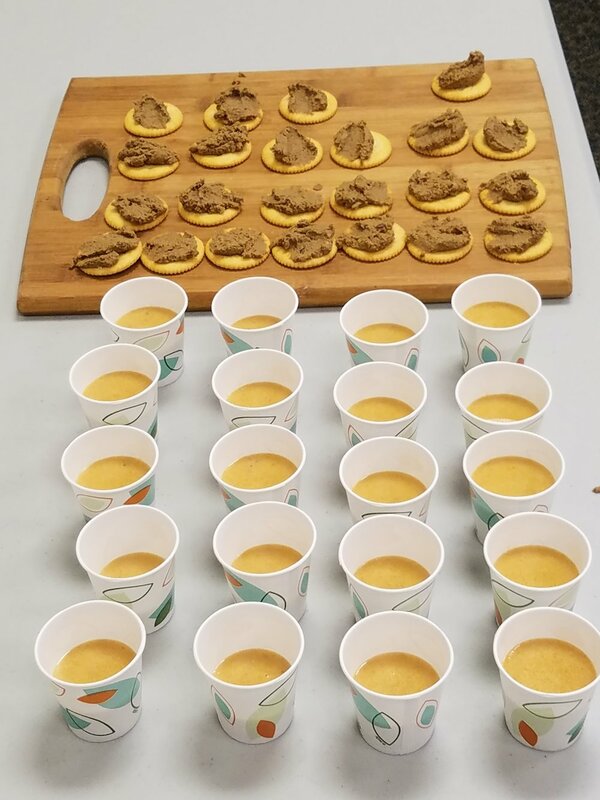 In addition to learning the method for each product students picked up tricks and tips about processing the fruits and vegetables that can be applied to any recipe. Each person also left with a few jars of each item that we prepared. Making your own liqueurs and cordials is not only easy and cost effective, but it also allows you to customize the final product to suit your own tastes. In this class we prepared limoncello, creme de menthe, and Irish cream liqueur. I also taught the basic liquor infusion technique that can be used to make liqueurs out of almost anything imaginable. 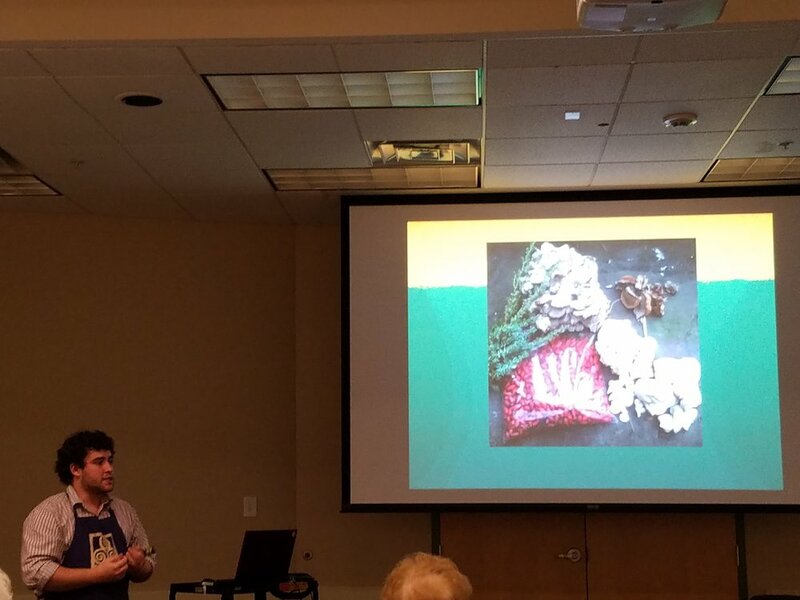 In this lecture I spoke to the Greenbush garden club about how to convert common garden weeds into culinary treats utilizing techniques like fermentation and infusions. Afterwards we enjoyed some treats prepared using the techniques I described in the lecture.